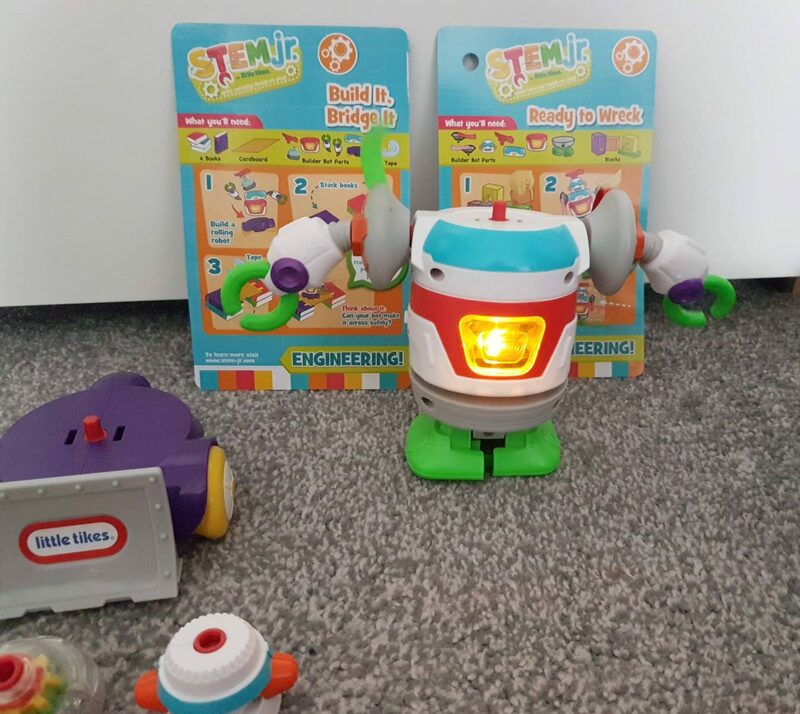 The new STEM Junior range from Little Tikes is a brand selection of toys that are aimed at encouraging pre-school children into the world of STEM learning ( Science, Technology, Engineering and Maths). The little man was kindly sent the Builder Bot and Tornado Tower from the range to try out. 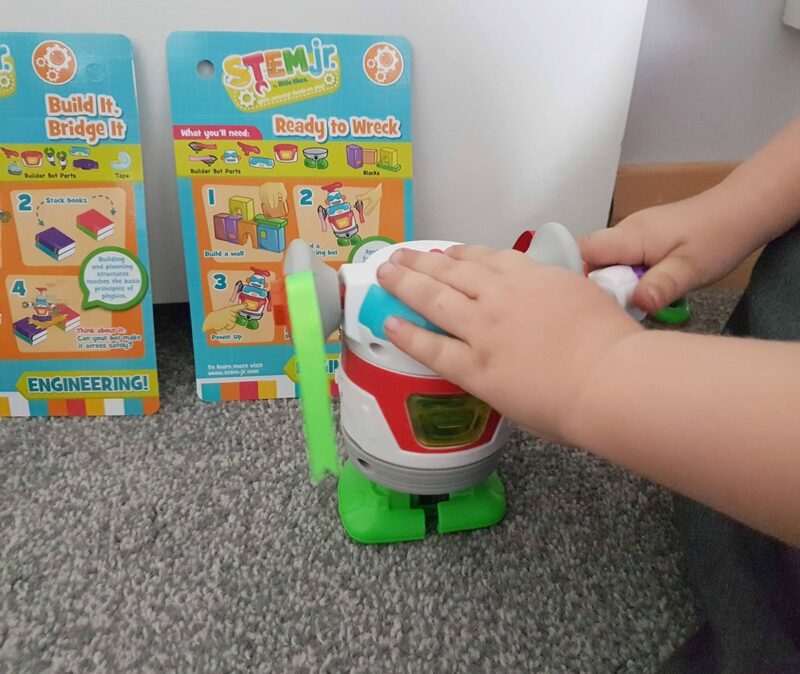 The Builder Bot robot is made from brightly coloured plastic that is sturdy and chunky enough for smaller hands. As soon as the little man saw him, he couldn’t wait to get him unboxed. Builder Bot comes with 12 inter-changeable parts and 2 cards which feature 4 different experiments. 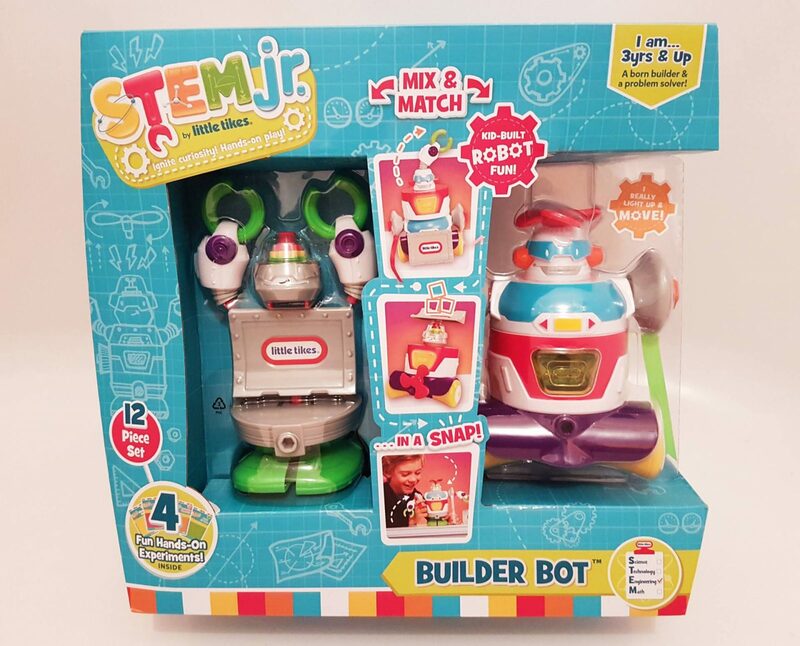 Builder Bot designed to spark curiosity and help introduce your child to engineering in a simple and fun way. 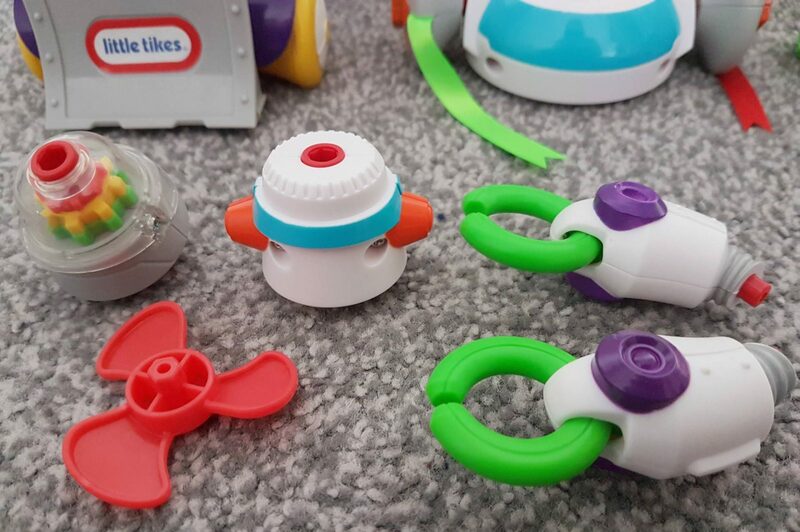 He encourages cognitive development through hands-on play and is a great toy for children that like to take things apart ( and hopefully put them back together!). Builder Bot requires 3 x AAA batteries to work so make sure you buy some in advance and does have a slightly awkward battery cover to remove with a screwdriver. The experiment cards feature 4 different experiments – Robotics Challenge, Build It, Bridge It, Mechanical Maid and Ready to Wreck. 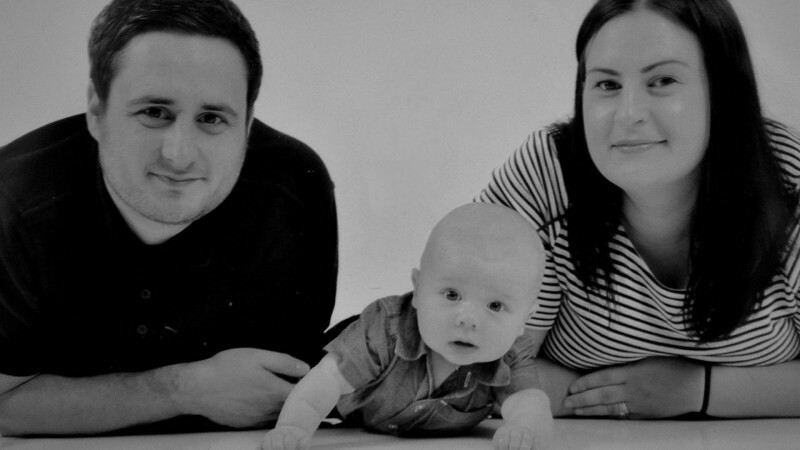 The little man could complete each of them with very little help as they have very easy to follow diagrams. 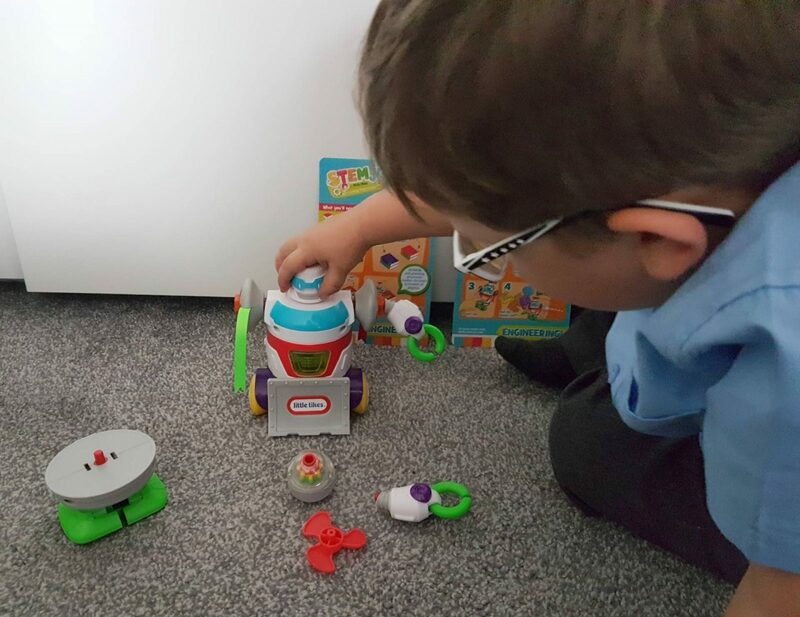 The robot can reconfigured in different ways, making it move differently or do different things and the little man has thoroughly enjoyed creating his own little robots. The Builder Bot moves most easily on hard floors and does struggle a little with carpet so we tend to use it mainly in the kitchen on the floor or on the table. 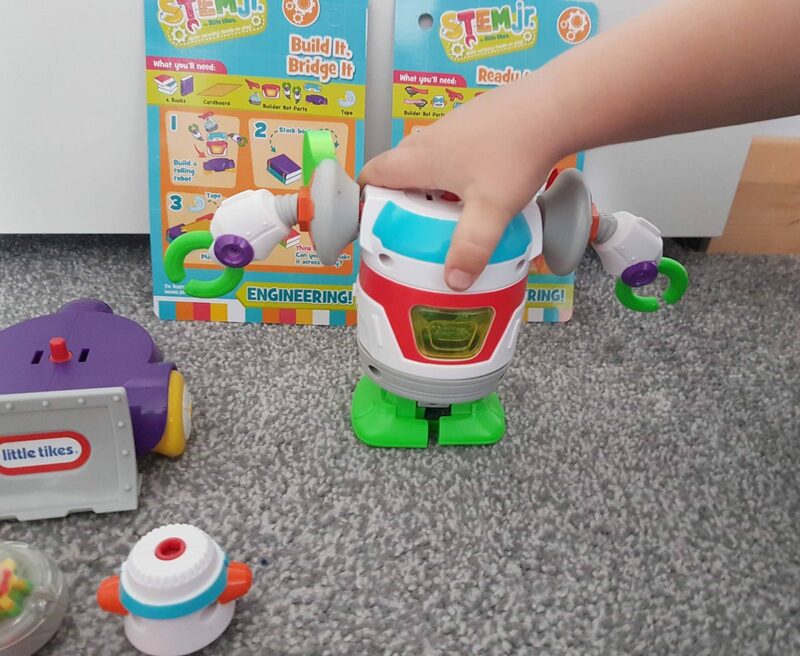 Builder Bot is aimed at children 3 to 5 years and costs £24.99. 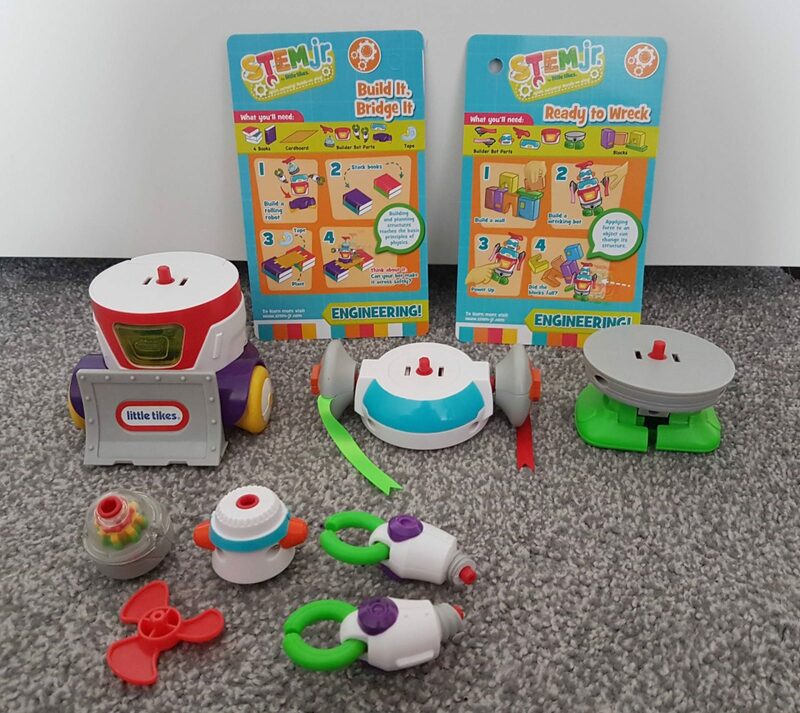 I think it will be a popular gift for children this Christmas and something that will help prepare them for similar tasks and experiments when they reach school age. 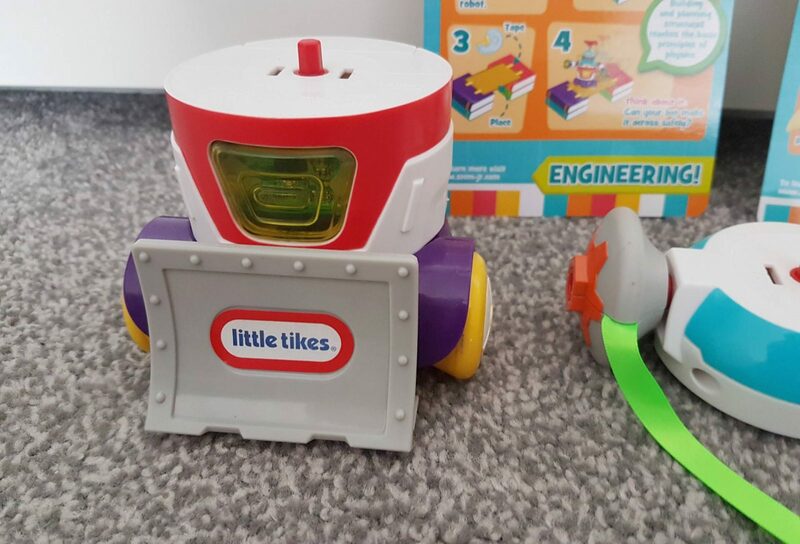 Out of the two Little Tikes STEM Junior toys we reviewed, the Builder Bot was the little mans favourite. It’s kept his attention longer and has become a toy he returns to daily. 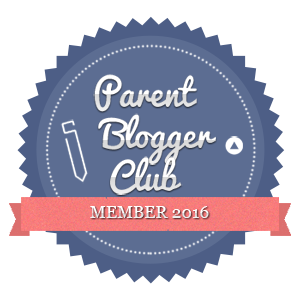 * We were sent the toy in return for an honest review.